Alice In the swirl of card. 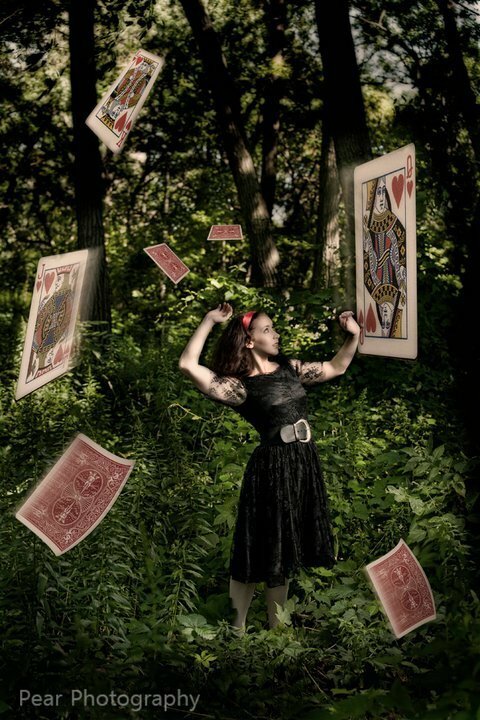 A Shot from the Urban Fairy Tale Series kwa Perry Heideman and Liz Shipe. HD Wallpaper and background images in the Fairy Tales & Fables club. This Fairy Tales & Fables photo contains ishara, bango, maandishi, ubao, matini, and ubao wa chokaa.